Myka bit me yesterday, the deepest puncture that she has ever laid on me. 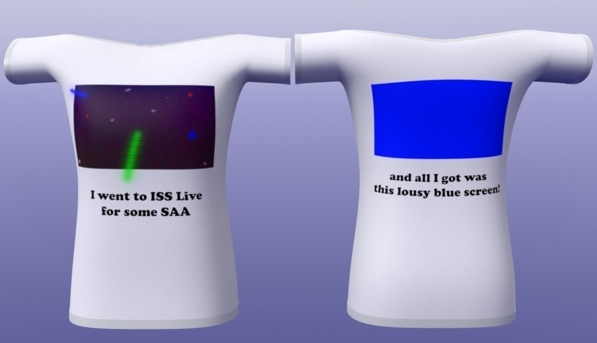 It was out of the blue. The cold weather had sent critters outside scurrying, both visibly and audibly, frustrating her about being an indoor cat. She casually strolled up behind my chair, stood up, and chomped like she never had before. Needless to say, she went into the hoosegow for an hour ad change. After that, she got a lot of cold shoulder, as it was still hurting. I treated it with antiseptic and liquid bandage, but it is slowly spreading. Granted, I used warm water as a local fever, which releases the microbes from the cellular enclosures, so it spread slightly. But I have no fever, there is no pus, and it doesn’t hurt as much. However, I am a little woozy from the response of my immune system. But it’s not surprising, as the warm water treatment will do that for a short period. So I’m in R&R for the indeterminate future. Lots of movies and low-interactive time-eating stuff, and plenty of sleep. I have let up the cold shoulder with Myka, but the pestering me in the office chair and recliner is coming to a halt. When I see her about to try for my attention, I give her a simple but stern NO. This is a habit that is coming to an end. She can talk to me if she wants gym practice. 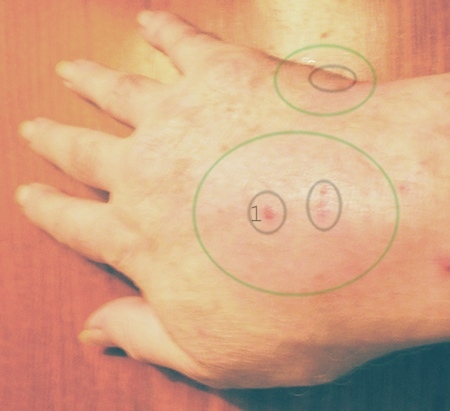 In the image below (no, my wrist and hand are not swollen, just wide angle perspective) the black circles show the wounds (#1 is the deep one) and the green circles the general area of redness. It’s not that serious, but I am taking all precautions, such as antibiotic ointment and rest. I expect to be back in action by Thanksgiving. I had to do something this week with the traditional TRD weekend coming. Even though the party is in the past, 30 year old habits die hard. Here is fajita turkey, an original experimental recipe. Turkey hen breast, 7 lb / 3.5 kg. Fajita marinade, 24 hours in the fridge, skin on. 10/15 sweet yellow onion and bell pepper saute’d in butter with a splash of the marinade and two healthy sprinkles of fajita seasoning (add after the pepper has softened) over low heat. 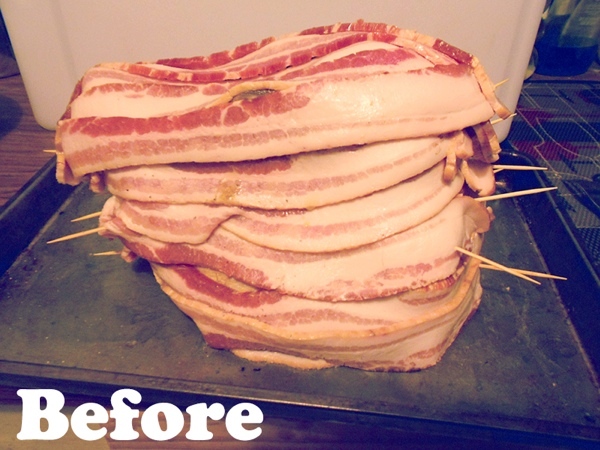 Lay the turkey on a bacon platform (9 pieces overlaping) front to back and wrap. Add bacon along the sides, pinning with skewers. Sprinkle seasoning moderately on skin before covering. Add the onion/pepper saute’ into the cavity. Seal the cavity with 5 strips of bacon. Bake at 350°F / 175°C until core of breast reaches 165°F / 75°C. Stuffing will be about 155°F / 63°C. 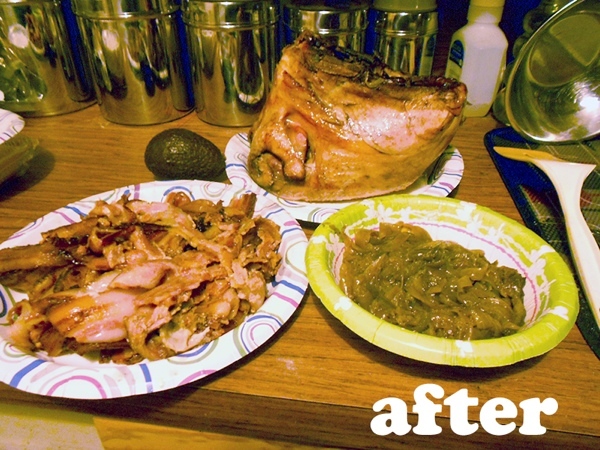 Peel bacon, scoop out stuffing, cool the turkey and remove meat from carcass. Dump the fat. On flour tortilla, lay a strip of bacon, lay a strip of turkey breast, add a glob onions/pepper, throw on some pico de gallo, avocado or guacamole, some mild cheddar is optional. Be sure to make a stock of the carcass. 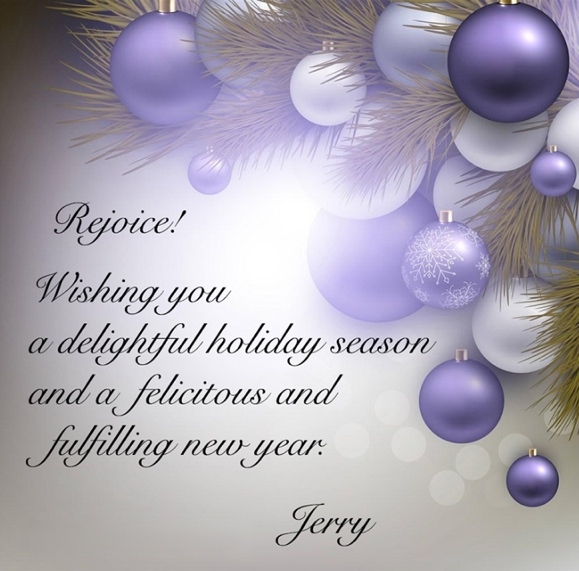 Got my holiday greeting card done for this year. Went to Bryan yesterday for Music School, Walter Sphinx, Andre, Sharon, and Frieda were there, which was a real treat. Did Happy Boy, which everyone liked, despite the fact that I had less than 24 hours to prepare for it. Hubba hubba hubba hubba hubba. We all had a lot of fun. I drove back last night, rather than staying over, as it looks like rain. Fingers are sore as usual, voice is marginal.